1 Peter 2:9 But you are a chosen people, a royal priesthood, a holy nation, God's special possession, that you may declare the praises of him who called you out of darkness into his wonderful light. In the Body of Christ and His Church, there should be no Big I's and Little You's. All believers should recognize that God has given them special gifts and abilities that can greatly benefit the Body of Christ. However, we also recognize that God calls some individuals be it man or woman to lead and build up his people. These individuals have been called many things over the centuries with titles like: priest, clergy, ministers, reverends, elders, and pastors. Some have even taken on other biblical titles such as Apostle, Prophet, and Evangelist. We are honored to serve you, please let us know how we can do this better. 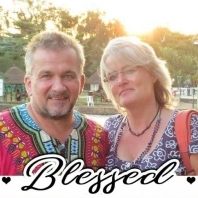 Pastor Heike and Torsten have been a part of Freedom Worship Center for many years.